Seats up to 35 people for a sit down dinner, but perfect for intimate private dinners for up to 22 people. 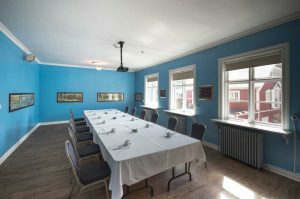 This room has a great view of “Aðalstræti” the oldest street in Reykjavík. 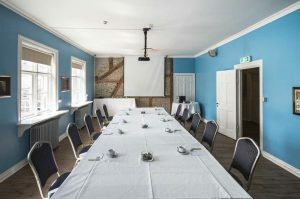 This small intimate event room is also used for small business meetings as it is equipped with all the necessities for a modern business meeting.